Fisher-Price Power Wheels Hot Deal! 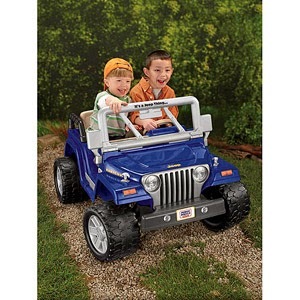 Walmart has a HOT deal on the Fisher-Price Power Wheels Jeep Wrangler!!! First sign up for ShopAtHome. Search Walmart through the list. Click on 8% cash back and go to the Walmart website. It’s $29.97! Add to your cart, select “Ship to Store” and checkout! You’ll get $2.39 back in your ShopAtHome account! Final price: $27.58! HURRY! This deal will sell out fast!